I don’t know why, but Samia hates having her picture taken. If she knows I have a camera in hand, she suddenly turns away from me or gets a serious face. 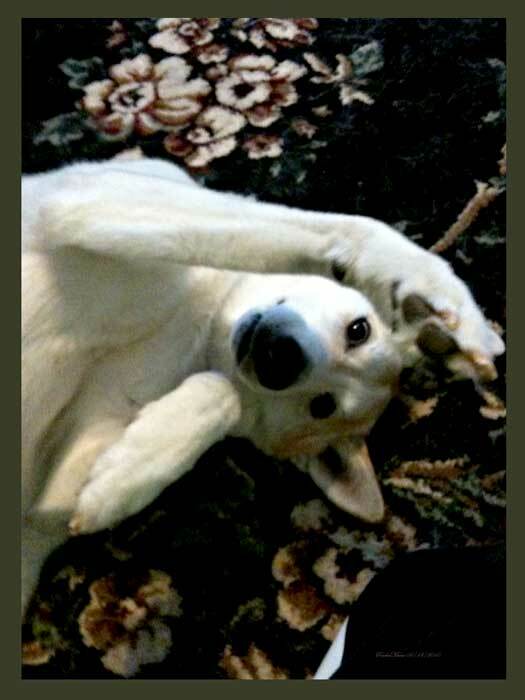 Luckily, she wanted a belly rub and I had my camera phone! Gotcha, girlie! ~ by Rachel on June 13, 2010. That camera never leaves us alone either. Thanks for joining the blog hop. Hope you have a fantastic weekend.